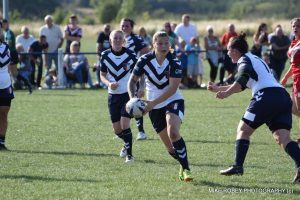 Wakefield Trinity Ladies stand off Lisa Taylor captained the Yorkshire County select to victory on Saturday where they beat Lancashire 28-6. 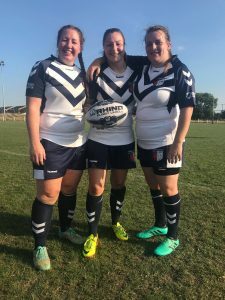 Trinity team mates Dani Swain and Jess Matthews were also selected for the game with Swain offering her team lots of go forward at Prop. Jess Matthews combined with Taylor to cross the whitewash in the closing stages of the game. 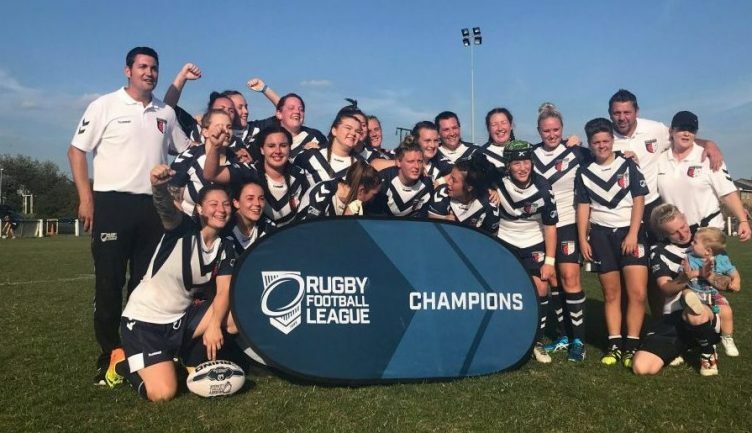 An action packed weekend of Women’s rugby league ended 2-1 in Yorkshire’s favour in origin series which began this Saturday at Featherstone Lions. 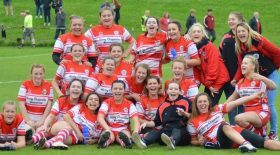 The U19s ladies put their Lancashire counterparts to the sword with a 54-14 victory before the Championship selects battled it out. Yorkshire eventually taking the victory 28-6 after trailing 6-4 at the break. On Sunday the Super League county representatives played out the final game of the Weekend at the Halliwell Jones Stadium as Lancashire clawed back a 16-10 victory to avoid the Yorkshire whitewash. The first half was a closely contested game, with neither side being able to break through and score for most of the half. Yorkshire managed to make the first score of the game, with Mia Duke crossing the line to take the score to 4 – 0. In the final minute before the interval, Lancashire’s Michelle Larkin scored their only try of the game. A successful conversion from Natalie Thompson, meant Lancashire led 6 – 4 going into half time. Following the break, it was Yorkshire who dominated. After 10 minutes, Yorkshire took back the lead, scoring through Natalilna Romano, to make it 8 – 6. Yorkshire’s Rachel Barker crossed the line twice, with one successful conversion by Leanne Baggley, taking the score to 18 – 6 with 10 minutes of the game remaining. 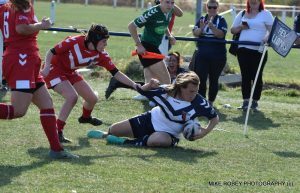 Yorkshire scored twice more through Jessica Matthews and Mia Duke (her 2nd of the game) with a successful conversion by Leanne Baggley, to leave the final score at 28 – 6. Leanne Baggley, Mia Duke, Ruby Adkins, Laura Teasdale, Molly Bigby, Lisa Taylor, Laura Dyson, Rachel Barker, Megan Beach, Danielle Swain, Jodie Davies, Natalina Romano, Kiera Savillle. Subs: Jess Matthews, Ebony Tattershall, Case Lawson, Natalie Thompson. Kerri-Ann Smith, Sammy Taylor, Michelle Larkin, Jenny Moss, Lizzie Herring, Mairead Quinn, Meg Jackson, Jazz Mason, Juliet Porter, Celia Farrimond, Genna Banks, Emily Stirzaker, Megan Eastwood. Subs: Kelli Morris, Kelly Friend, Meg Garvey, Beth Lindsay.